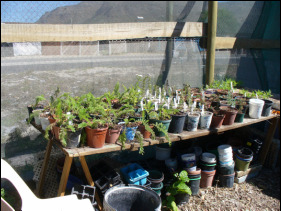 Soil for Life, started in 2003 by Pat Featherstone, works with communities in the Western Cape, mainly in the Cape Flats. This is a challenging environment with very poor soil (often no more than sea sand) roaring winds and generally unsettled weather conditions. 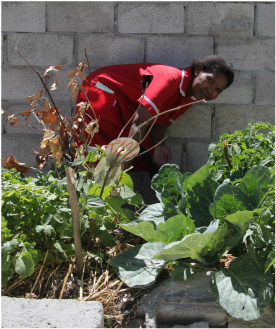 All of the communities in which Soil for Life works are characterised by high levels of unemployment and poverty and have little or no formal infrastructure including basic services such as sanitation and electricity. Soil for Life assists these communities to overcome poverty, hunger and unemployment through environmentally sound agricultural development. Their mission is to "educate and train people in organic food gardening using water-wise, low-cost, environmentally-friendly technologies in order to grow a lot of food in small spaces". They operate from huts on ground lent to them by a school in Cape Town. 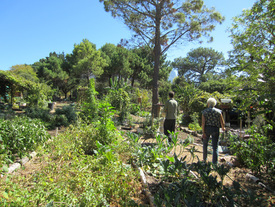 There they have created a wonderful garden in which they experiment with ways of growing organically, run training courses, and sell produce to raise funds. Margery Povall heard about Soil for Life in 2006. When she visited its projects she was impressed by the dedication and scope of their work, and she and Susan Law visited again in 2007. The Thatu Trustees decided later in 2007 to fund the SFL activities in 'Touws River' for two years and in 2008 to raise funds for the 'Sibanye Food Growing Enterprise Project'. 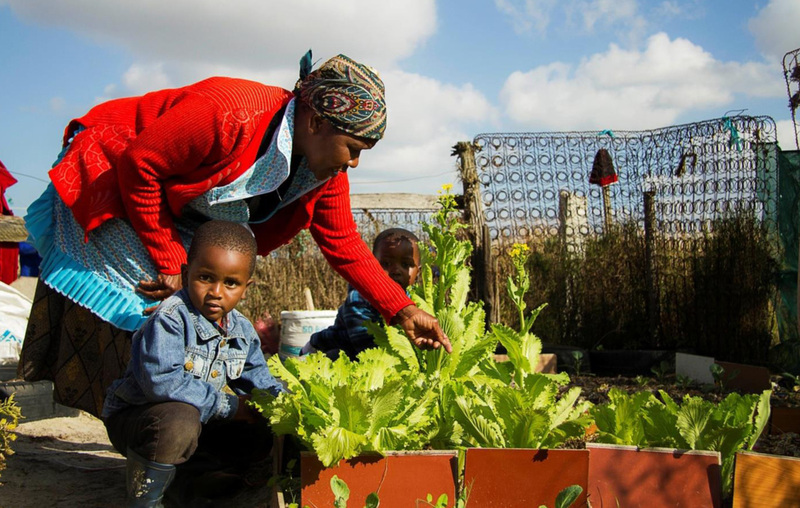 In 2010 Thatu supported the Soil for Life, 'Levana Primary School Food Growing Enterprise and Home Gardening Project' in the Cape Flats. This involved the development of a central gardening enterprise in the school, alongside four advanced training courses for the existing community and home gardeners. 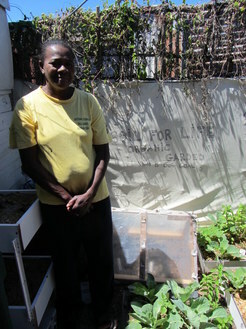 Other local people were also to be trained and supported so that they could develop their own sustainable home gardens. Since 2013 we have been supporting the Home Gardening Project each year - providing the training for new home gardeners and also training some of the established gardeners to become trainers themselves. 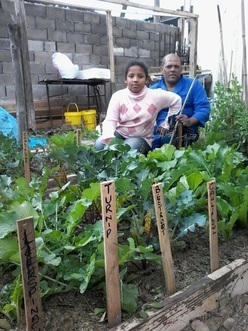 Soil for Life have developed techniques for gardening with little water in the sandy Cape Flats of Capetown . These proven methods are vital this summer 2017/18 as water shortages have reached disaster levels in Capetown due to the lack of winter rains. 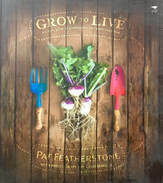 To find out more about gardening with reduced water read : Grow to Live by Pat Featherstone. 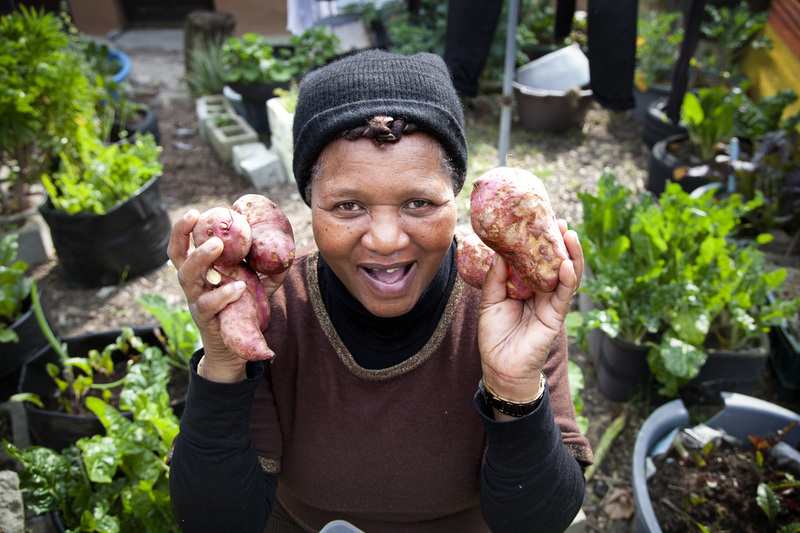 The Home Food Gardening programme in the Cape Flats has expanded now to 18 impoverished communities. The 12 month programme results not only in families having much needed nutrition, but also skill development and employment opportunities for some. 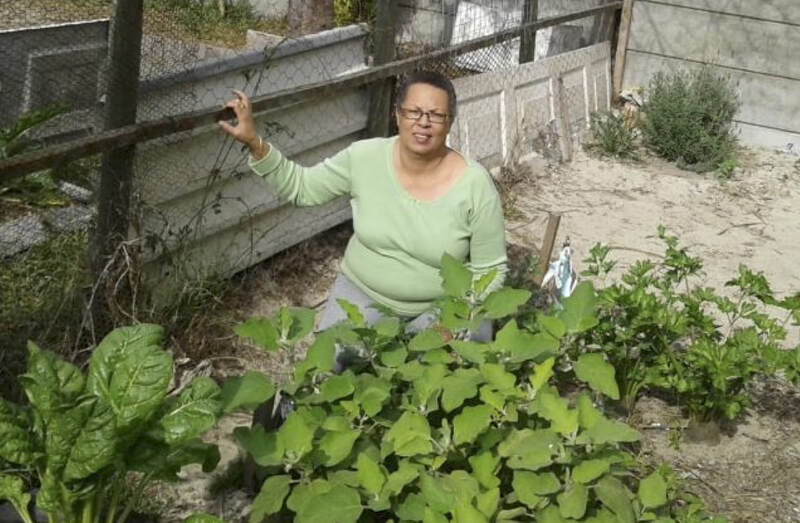 Between March and May of 2017, 197 new home gardeners completed their 12 week programme, with 13 new groups being formed in 11 areas of the Cape Flats. The trainers and assistant trainers will be undertaking thousands of follow up and support visits with active gardeners going back as far as 2013, to reap the benefits over an extended 4 year period of mentoring. Meanwhile the recruitment of more home gardening trainees continues.